Are you sure you want to remove Joseph Andrews from your list? in English - Rev. with a new introduction by Thomas Keymer. in English - Reprinted, rev., and enl. Joseph Andrews; introduction and notes by James Gordon. The history of the adventures of Joseph Andrews and of his friend Mr. Abraham Adams, and An apology for the life of Mrs. Shamela Andrews. : Edited with an introd. by Douglas Brooks. 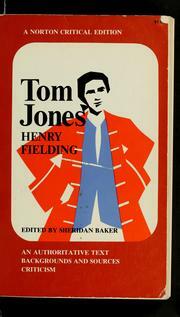 Joseph Andrews: edited by Martin C. Battestin. The history of the adventures of Joseph Andrews and his friend Mr. Abraham Adams: written in imitation of the manner of Cervantes, author of "Don Quixote"
The adventures of Joseph Andrews. Joseph Andrews. : Introd. by A.R. Humphreys. The history of the adventures of Joseph Andrews and his friend Mr. Abraham Adams. : Written in imitation of the manner of Cervantes. With an afterword by Irvin Ehrenpreis. Joseph Andrews: and Shamela. Edited with an introd. and notes by Martin C. Battestin. The history of the adventures of Joseph Andrews and his friend Mr Abraham Adams. The history of the adventures of Joseph Andrews and his friend Mr. Abraham Adams. 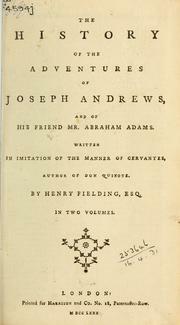 The history of the adventures of Joseph Andrews and of his friend Mr. Abraham Adams: written in imitation of the manner of Cervantes, author of Don Quixote. The history of the adventures of Joseph Andrews and his friend Mr. Abraham Adams: written in imitation of the manner of Cervantes, author of Don Quixote. in English - Large paper ed. The history of the adventures of Joseph Andrews & his friend Mr. Abraham Adams. 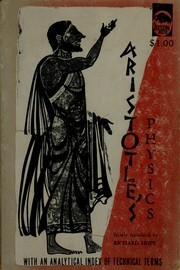 1917, J.M. Dent & Sons, Ltd., E.P. Dutton & Co.
1900, C. T. Brainard Pub. Co.
in English - Ed. deluxe. The Adventures of Joseph Andrews and his friend Mr. Abraham Adams. in English - 2nd ed / edited by G. Saintsbury. 1820, F. C. and J. Rivington; etc., etc. 1816, John Forbes & Co. The adventures of Joseph Andrews: and his friend Mr Abraham Adams. 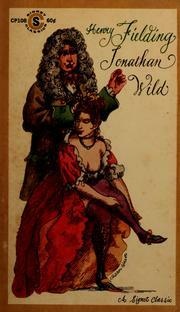 ... By Henry Fielding, Esq. With prints by T. Rowlandson. The history of the adventures of Joseph Andrews, and his friend Mr. Abraham Adams. : Written in imitation of the manner of Cervantes, author of Don Quixote. 1791, Printed and sold by Henry Taylor. 1790, printed for Harrison and Co.
1781, printed for Harrison and Co.
Microform in English - The tenth edition, illustrated with cuts. In two volumes. ..
Microform in English - The seventh edition, revised and corrected. in French - Seconde edition revue & corrigée. in English - The 9th ed., rev. and corr. in English - 9th ed / revised and corrected. Microform in English - The ninth edition, revised and corrected. Microform in English - The eighth edition, revised and corrected. Microform in English - The seventh edition, revised and corrected. In two volumes. Microform in English - The sixth edition, revised and corrected. Microform in English - The fifth edition, revised and corrected. Microform in English - The fourth edition, revised and corrected. in English - The fourth edition, revised and corrected; in two volumes. in English - The third edition, illustrated with cuts. in English - The third edition, illustrated with cuts. In two volumes. Microform in English - The third edition, illustrated with cuts. The history of the adventures of Joseph Andrews, and of his friend Mr. Abraham Adams: ... In two volumes. The history of the adventures of Joseph Andrews, and of his friend Mr. Abraham Adams: ... 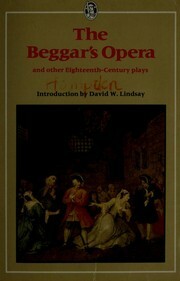 The second edition: revised and corrected with alterations and aditions [sic] by the author. Vol. II. 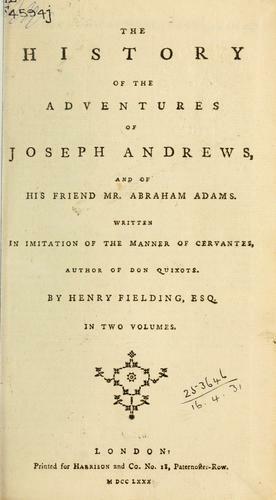 The history of the adventures of Joseph Andrews, and his friend Mr. Abraham Adams: written in imitation of the manner of Cervantes, author of Don Quixote. 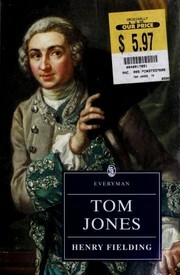 in English - The second edition, revised and corrected with alterations and additions by the author; in two volumes. Avantures de Joseph Andrews, et de son ami, Abraham Adams.